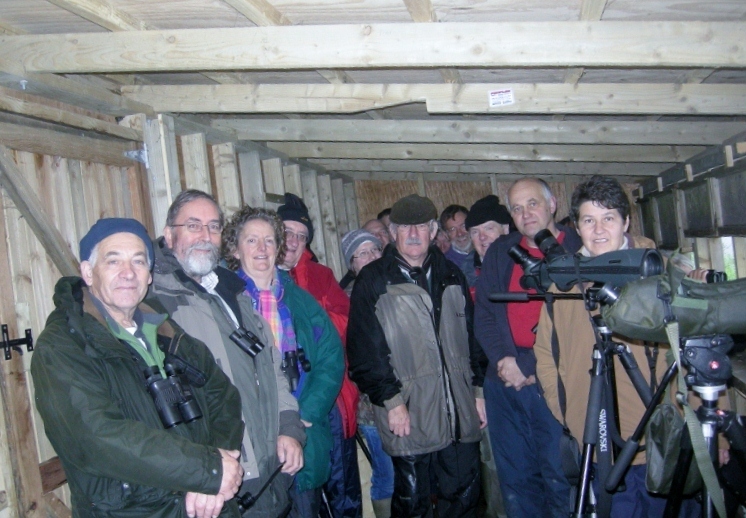 A joint outing with the Donegal branch of Birdwatch Ireland to Inch Lough and Levels, Lough Swilly, was held on 29th October. After meeting up at 10am we enjoyed a short time on the reserve’s viewing platform watching swans and geese in the lough and its surroundings. 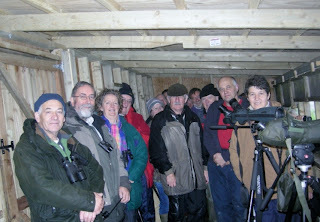 Fortunately we made it to the hide as the weather began to turn and were able to enjoy a very pleasant couple of hours in the shelter of the hide watching a great variety of birds. The calls of large numbers of whooper swans which had recently arrived from Iceland greatly added to the atmosphere. Greylag and Canada geese were also present in the estuary, as were a large variety of ducks including shoveler and gadwall. Other sightings included curlew sandpiper, ruff and lapwing. By early afternoon the weather began to clear and the sun came out for a short while, allowing those of us still at the reserve to enjoy some good birding before reluctantly heading home! A big thank you to Ralph Sheppard and the Donegal Branch for their good company and help on the day. All those who travelled up from Cavan thoroughly enjoyed our visit and were very impressed with Inch reserve and the variety of birds to be found there.